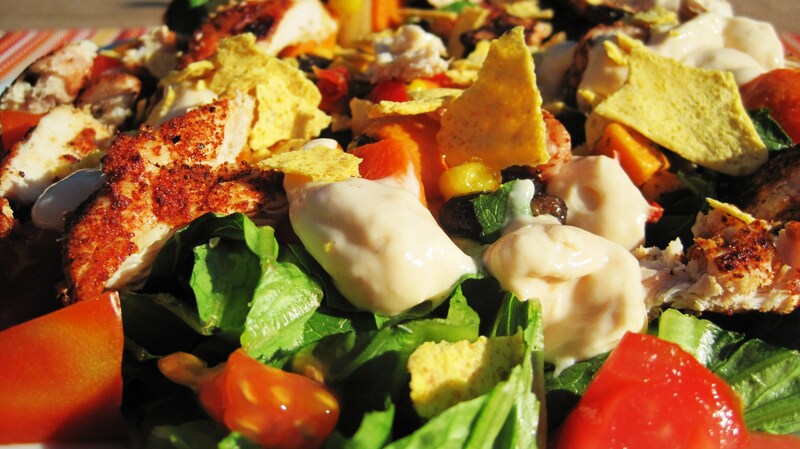 I love Southwest Salads, but the calories are killers. 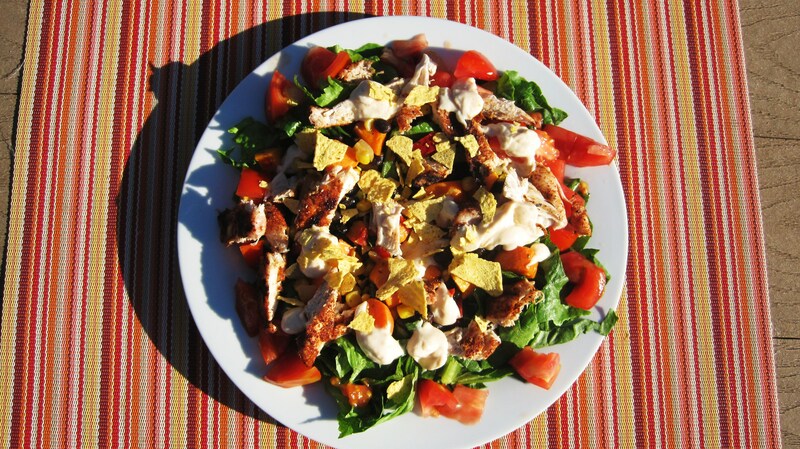 So I came up with a super quick salad that takes about 10 minutes. There’s a cheat in it thats makes it quick! 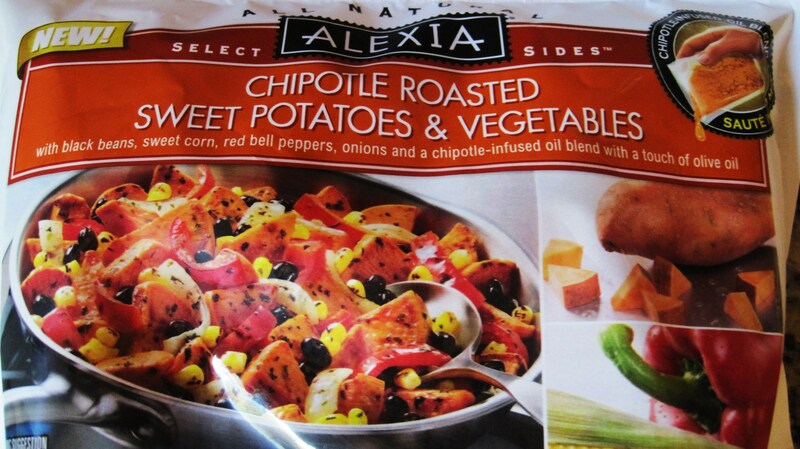 Alexia Chipotle Roasted Sweet Potatoes & vegetables. This stuff is good and not bad in sodium (but could be better) and calories. Cook Alexia Chipotle Roasted Sweet potatoes & Veggies according to direction. 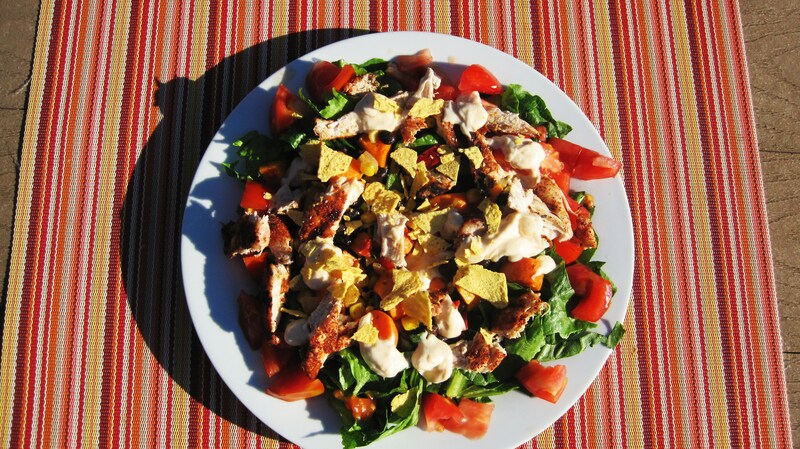 You can use the left overs for lunch or in a tortilla shell! 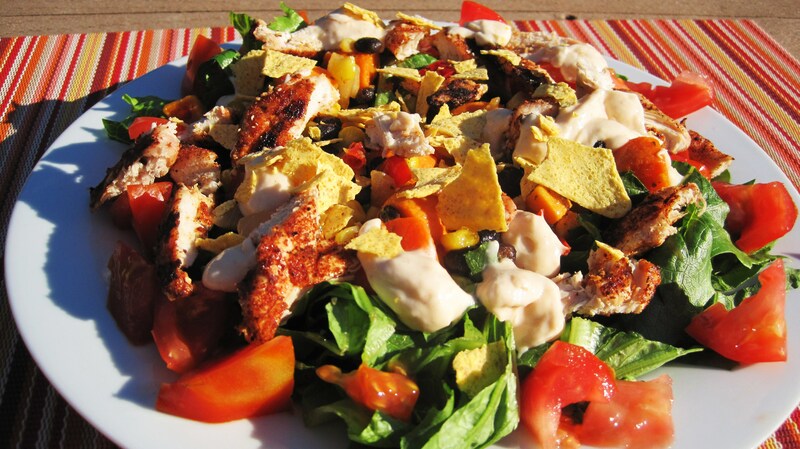 On a large plate, add your lettuce, top with cooked veggies, tomato & then chicken, Aiolo Sauce and crumble two tortilla chips on top. Put all ingredients in a little bowl and wisk until smooth. Serving Size: 3/4 cup or 12 Tbsp. 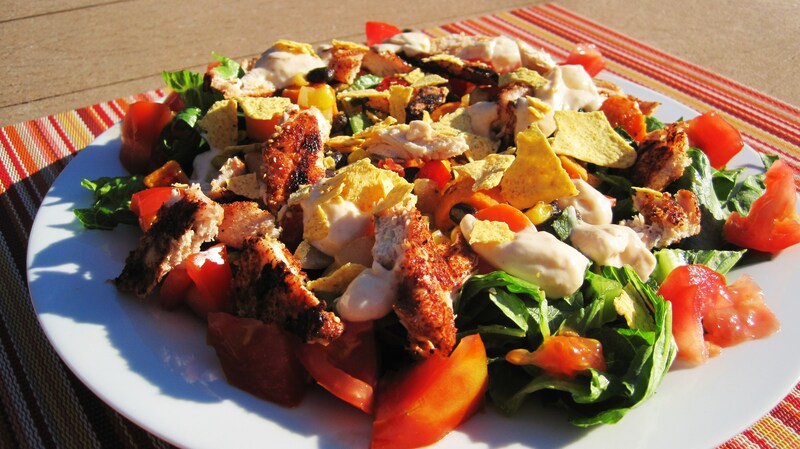 The Sauce is so good, you can use it for hamburgers, salads, chicken, on wraps and more. It lasts a couple of weeks in the fridge. So delish and so easy!! Not bad for under 300 calories! Very filling. Alexia Roasted Veggies are in the freezer department of the grocery store. Off to watch the season premier of Two and Half Men and How I Met Your Mother. Have a great and healthy week!